UV irradiation is an effective technique for membrane surface modification. It maybe the most appropriate of all surface modification techniques because of certain features: the low cost of operation, mild reaction conditions, it is highly surface-selective, and because it alters the material surface with facile control of the chemistry (Ma et al. 2000a). Several studies have been carried out using photoinitiators (Kita et al. 1994; Richey et al. 2000; Ulbricht et al. 1998) or specially synthesized molecules with UV-sensitive end groups (Taniguchi et al. 2003; Thom et al. 2000). 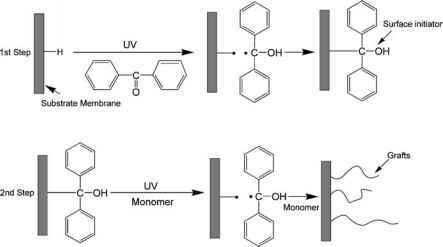 Figure 5 shows a typical two-step process for UV-induced polymerization (Ma et al. 2000b). Fig. 7. BSA adsorption on poly(DMAEMA)-grafted and PAP-modified membranes hydrates. However, the amount of proteins and carbohydrates is relatively small. Most of the lipids are phospholipids such as phosphatidylcholine, phosphatidylethanolamine, phosphatidylserine, phosphatidic acid, phos-phatidylinositol, and phosphatidylglycerol. As part of their structure, these phospholipids all have two long alkyloxy groups. Two layers of phospho-lipid molecules are facing each other, burying the hydrophobic moieties inside the membrane. The zwitterionic species cover the membrane surface and there is a reorientation of the PAP to put the zwitterions at the surface of PAP-modified PPMMs. During the protein adsorption measurements, the PAP-modified PPMMs were immersed in BSA solution for 24 h. In that case, the membranes were in an aqueous environment and should present the zwitterions at the surface. Thus, in these conditions, the membrane surfaces were hydrophilic and were relatively similar to those of the biomembranes. The hydrophilic surfaces normally facilitate the reduction of protein adsorption on the membrane (Ma et al. 2000a; Steen et al. 2002; Wavhal and Fisher 2003; Xu et al. 2003). 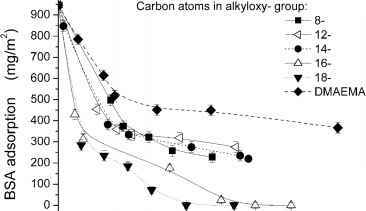 Furthermore, with an increase of the number of carbon atoms of the long alkyloxy groups, the impact of the original membrane surface on protein adsorption could be reduced, which leads to a decrease in protein adsorption on the PAP-modified membranes. Therefore the membranes exhibit excellent protein resistance. Fig. 9. a Effect of grafting degree (GD) on BSA adsorption in PVP-modified PPMMs. • nascent PPMM; O PVP-modified PPMM GD = 1.49 wt. % and A PVP-modified PPMM GD = 4.08 wt. %. b Static contact angle of PVP-modified PPMMs with different grafting degrees cellent biocompatibility with living tissues and extremely low cytotoxicity (Wetzels and Koole 1999). Due to its outstanding performance, PVP has also been used widely as a surface-modification agent. Liu et al. 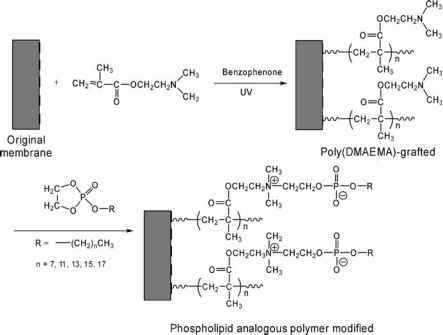 (2004) used PVP as modifier to improve the surface properties of PPMMs by UV-induced graft polymerization of N-vinyl-2-pyrrolidone, as shown in Fig. 8. After grafting PVP to the membrane surface, as been expected, protein adsorption was markedly reduced with increasing grafting degree (Fig. 9). Usually, materials processing hydrophilic surface show relatively low nonspecific adsorption for proteins or cells. 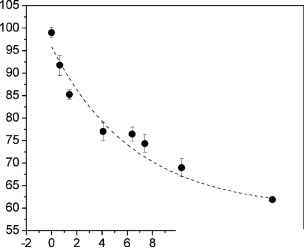 Therefore, the reduction in BSA adsorption could be ascribed mainly to the improvement in hydrophilicity effected by the introduction of PVP chains on the PPMM surface. adsorption of BSA. 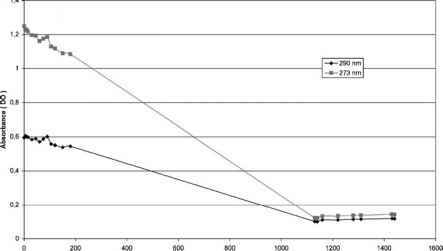 Moreover, the recovery flux increased significantly with increasing grafting degree, and a relatively high flux recovery ratio (> 80%) was achieved even at lower grafting degree. All of these improvements in surface properties can be ascribed to the highly hydrophilic nature of the linear sugar moieties in the grafted chains.